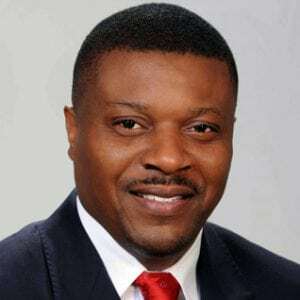 Zhivargo Laing, the former Cabinet Minister, told attendees at the Bahamas Institute of Chartered Accountants (BICA) conference: “It’s either the case that this works to the benefit of The Bahamas or we decide that we don’t do it; it doesn’t make sense. Why should we do any reform that does not enure to the benefit of this economy? Mr. Laing described this nation’s decision to accede to full WTO membership as one of the “‘most strategic the Government has ever made”. The Minnis Cabinet is pushing for The Bahamas to become a full World Trade Organisation (WTO) member by 2019, with the Government set to lose $40m in revenue by eliminating or reducing import tariffs under its present offers. “I believe we should scrutinise this whole process, get as much information as we can and hold all of us accountable in this process. I am absolutely committed to going to Geneva to negotiate agreed positions, meaning that we have all agreed where the red line is we will not cross,” said Mr. Laing. He added that once The Bahamas joins the WTO, local industries will have at least a three to five-year adjustment period. The WTO has provisions to allow local businesses to make the necessary price adjustments. Click here for more information on the WTO and the nation’s accession process.